We provide one of the area’s largest selections of perennial and annual varieties. Hasting Plants is located southwest of Mount Vernon, Indiana, just off of Highway 69 South. We are a small, family owned business. Owner, Nancy Hasting is a Horticulture graduate from Purdue University. Open since 1982, we pride ourselves on the variety and selection of herbaceous plants we sell. We are open from mid-March to mid-June. 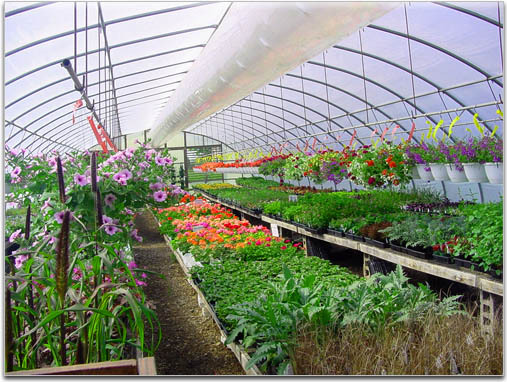 We raise most of the plants we sell in our greenhouses, and have a sales building filled with gardening items. We offer several classes and seminars each spring, and try to stay on the cutting edge of new varieties and garden related products!